Welcome to Campania, a wealth of history, art, culture, good food and many contradictions. Wealth and poverty, wild and industrialized cities, so close and so far apart, the friendliness and hospitality of the people will introduce you to the many aspects of this beautiful region and leave a lasting memory of your trip. 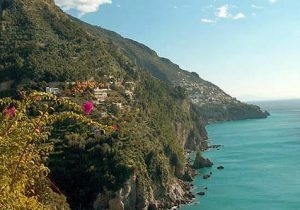 Not to be missed is the breathtaking Amafli coast drive visiting the pearls of the region Positano, Ravello and Amafli. You will also want to visit the romantic Isle of Capri with its beautiful Blue Grotto and the lively and scenic town of Sorrento. 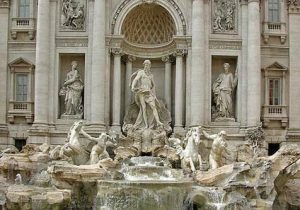 For the lovers of archeology and history, Naples, Pompeii, Paestum and the gardens and palace of Caserta should be on your Italy tour. Your romantic Italian Honeymoon starts in Rome where you will discover the most famous sights of the Eternal city. Visit the Colosseum, the Roman Forum, the Vatican Museums and the Sistine Chapel. 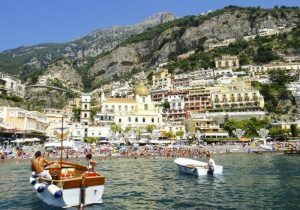 Then it's on to the scenic Amalfi Coast, Positano and the Isle of Capri where you will enjoy breathtaking natural beauty, friendly people and wonderful food. The tour end in a typical Villa on the Castelli Romani surrounding the Ethernal City of Rome. 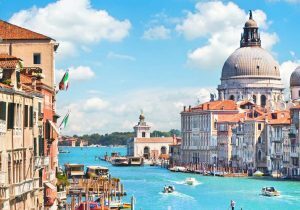 Our Italian Italy Honeymoon packages are a nice blend of private guided visits and free time offering English speaking drivers and guides and centrally located first class hotels.